Alter The Press! 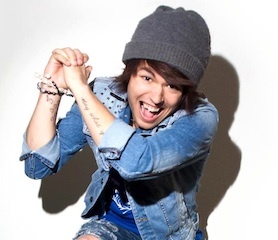 : The Ready Set Releases New Single "Higher"
The Ready Set Releases New Single "Higher"
The Ready Set have released their new single, "Higher," which can be streamed below and purchased digitally via iTunes. The track is taken from the group's upcoming album, The Bad & The Better, that is scheduled to be released on May 27th via Razor & Tie Records.